Thank you for taking the time to fill out this application. Your information will remain confidential and used only as part of the Second Chance Chi Rescue Foster Program. All fields marked (REQUIRED) must be filled in or your application will not go through. To save time on the phone when we call you, make sure you fill this application out in its entirety so we wont have as many questions when we talk. Please be aware we ask that you foster exclusively for Second Chance Chi Rescue and our dogs only so that we and you can insure their safety and health. Should you decide to foster from another rescue while fostering one of our dogs it must be approved by one of out Directors of Adoptions, Fosters and Volunteers. 1. No person who is suspected of being under the influence of alcohol or drugs or accused of any kind of animal or human abuse will be allowed to foster one of our dogs. 2. Dogs will NOT be kept on a chain because of health hazards, lack of exercise and potential dangers chains may cause such as teasing and trapping the dog with no escape. 3. Dogs will NOT be used as fighting, attack, bait or guard dogs. 4. Fosters shall abide by all city and county animal control ordinances, specifically any leash laws to prevent the dog from roaming and becoming a nuisance animal. 5. Our fostered dogs will NOT be sold, traded, or given away for any purpose. It is not to be abandoned or left anywhere for any reason. Fosters agree to return the dog to Second Chance Chi Rescue if they are unable or just do not want to care for for the dog anymore. 6. Fosters agree that the dog(s) will be part of the family and household, well cared for and treated with love and respect. Fosters will assume full responsibility for its well-being, including providing adequate and wholesome food, fresh water, shelter from the weather. As for vetting, please refer to our Vetting Guide. 7. Second Chance Chi Rescue reserves the right to refuse to foster out any dog for any reason to anyone. 8. Second Chance Chi Rescue is not responsible for any injuries (including rabies), maiming and/or death incurred to any persons or other animals in respect to this Dog. 9. Second Chance Chi Rescue is not responsible for any damage or destruction to personal or home property caused by this dog. 10. Second Chance Chi Rescue does not guarantee a dogs temperament or behavior once it has left us and entered your home. 11. 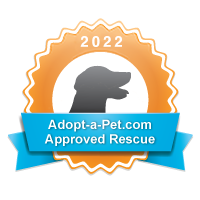 Should fosters adopt, the foster is subject to all requirements for adoption set down by the Second Chance Chi Rescue application, approval, home visit, and a NON-REFUNDABLE donation fee (as detailed in the adoption agreement) paid to Second Chance Chi Rescue. 12. All pets will be altered before adoption takes place. Second CHance Chi Rescue will not adopt out any dog for breeding purposes and is strictly prohibited by our rescue. Should your foster arrive unaltered, Second Chance Chi Rescue will make arrangements and instruct you how to follow through with spaying/neutering. 13. ANY EXPENSE IN REGARDS TO FOSTER DOG, EX: VETTING/TRAINING/BOARDING ETC., MUST BE APPROVED BY Second Chance Chi Rescue Before any payments for such services are made. FAILURE TO DO SO MAY JEPORDIZE REIMBURSMENT OF ANY AND ALL FUNDS. 14. Fosters must be physically able to handle and exercise their foster dogs daily and sufficiently to keep them healthy and happy. 15. Second Chance Chi Rescue is not responsible for covering boarding, pet sitting, while you are on vacation, we ask that you make proper arrangements for your foster dogs while you are away. 16. Any pet in foster care is the SOLE PROPERTY of Second Chance Chi Rescue and in no uncertain terms can pet be kept without an approved adoption application from Second Chance Chi Rescue and our consent.